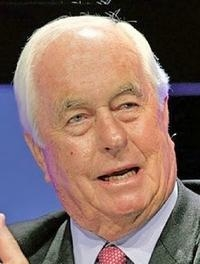 At 81 years old, Roger Penske isn't slowing down. In fact, the chairman and CEO of Penske Automotive Group led the second-largest U.S. dealership group to record financial results in the first half of 2018. His stores account for nearly a quarter of the Automotive News2018 Best Dealerships To Work For list. Penske, who has overseen the company since May 1999, has been orchestrating diversification of the business, including adding more standalone used-vehicle stores. This year, Penske completed the acquisition of The Car People, a used-car superstore company in the United Kingdom. Penske also is adding technology including Reynolds and Reynolds Co.'s docuPAD interactive tabletop F&I systems in 130 U.S. stores. It's refining its website, penskecars.com, and its Preferred Purchase program, which lets customers choose how much of the buying process they do online. And after last year's tax reform legislation passed, the Bloomfield Hills, Mich., company boosted its 401(k) match by one percentage point for its roughly 16,000 U.S. employees.